Metatarsalgia Treatments - Arizona Orthotics - Goodbye Ball of Foot Pain! Goodbye Ball of Foot Pain! Metatarsalgia Treatments that work long-term must address the underlying cause of the foot problem! Besides pain, other symptoms include numbness and tingling in the toes, sharp pain, and the feeling of walking with a marble or stone in the shoe. When the arch of the foot fails to "hold up" your body weight against gravity, it drops... causing the forefoot to spread & widen. Just as if you were to push down on a soft ball - it would widen until you stop pushing. In the case of metatarsalgia, stress is shifted to the 2nd, 3rd and 4th metatarsal heads which were NOT made to handle it. It’s really that simple, but what you choose to do next will make the difference between short term relief and long term correction. 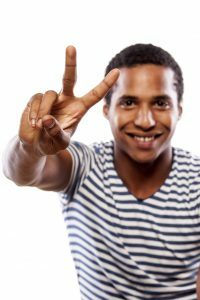 There are Two Options in the Treatment of Metatarsalgia! Metatarsalgia Treatments Designed to Temporarily Reduce Inflammation & Improve Foot Function. This particular treatment for metatarsalgia is actually the combination of 2 minerals - magnesium and sulfate. Foot baths using Epsom salts can help regulate enzyme activity and flush toxins. Epsom salt foot baths can help reduce pain and inflammation. Epsom salt foot baths take time - at least 30 minutes per day. According to the manufacturer, this particular treatment for metatarsalgia, is the world's first high cushioned, high stability Zero Drop™ running shoe is using a revolutionary new feature, StabiliPod™ technology. This is a shoe that’s not specific to individual needs. It’s pre-made for the masses! Stretching designed to reduce the extension/dorsiflexion stress at the forefoot due to the design of made for the masses footwear. Considering the arch dictates what happens distally, this is pointless and has zero long term potential. Cost: Whatever the practitioner feels is appropriate. Can range from $50 to $200 per treatment. Pre-made, not truly custom specific to individual needs. This treatment for metatarsalgia is designed to speed recovery and relieve pain. This tape is applied to the foot in particular lengths and directions to alleviate foot strain. You don’t have metatarsalgia due to a lack of foot tape! Seems obvious enough, but deserves special mention. Needs to be reapplied often; as often as every 3 to 5 days. This treatment for metatarsalgia is designed to alter the passage of force through the metatarsals. This shoe insert has a built up pad into the anatomical metatarsal region. A one size fits all approach to a foot problem that deserves an individualize approach. Has the potential to create additional foot problems and deformity as it moves the passage of force into a non-specific pattern. Cost: anywhere from $20 to >$100. These treatments for metatarsalgia are designed to reduce inflammation. Anti-inflammatory medications include, but are not limited to, Aleve and Aspirin, Advil and acetaminophen. Ice is also an effective anti-inflammatory treatment for metatarsalgia. Medication is hepatotoxic which means it’s toxic to the liver. Not the best long term outcome potential when you sacrifice your liver so your foot can feel better temporarily. Ice is cold and needs to be applied until the area is numb; this cab take up to 15 minutes per application. This treatment for metatarsalgia is cold pressed from literally thousands of lemon rinds just to make one kilo of oil. You smell like lemons for one! Lemons do not improve foot function. This treatment for metatarsalgia is a flexible sleeve made from a cotton/Lycra blend designed to absorb pressure, shock and friction to cushion and protect your foot. Fails to improve foot function as it has no ability to improve the passage of force as each foot transitions between pronation and supination. 26 bones in good alignment equals good foot function. This flexible sleeve simply cannot hold the foot in its correct arch-up posture against body weight and gravity! 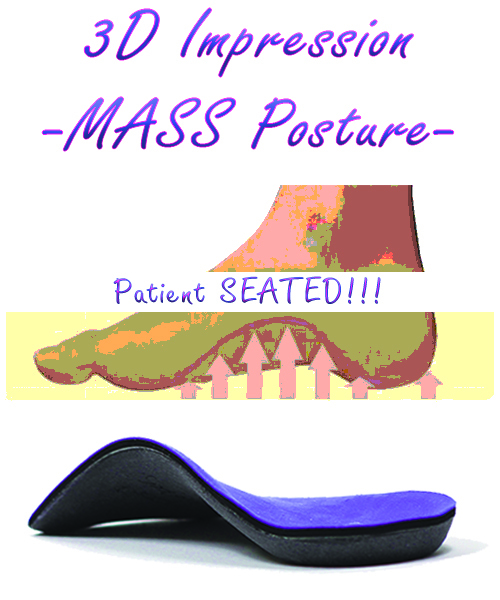 This particular treatment for metatarsalgia is a one-size-fits-all pad designed to support the ball of the foot. This soft silicone pad can help relieve the burning sensation at the met heads. There is no one size fits all solution to the 26 bones in each foot that make up 33 joints responsible for foot function and foot health! Think about it. Note: ALL of these treatments fail to correct the underlying cause of metatarsalgia! Stop the forefoot from spreading! Optimize the passage of force through each foot with every step! The only way to optimize foot function is to Restore Alignment specific to the individual!!! By restoring each foot to its corrected arch-up alignment, the widening at the forefoot is corrected and metatarsalgia can begin to heal.